The SIGNAL IDUNA PARK will be witness to a special moment on Friday night. 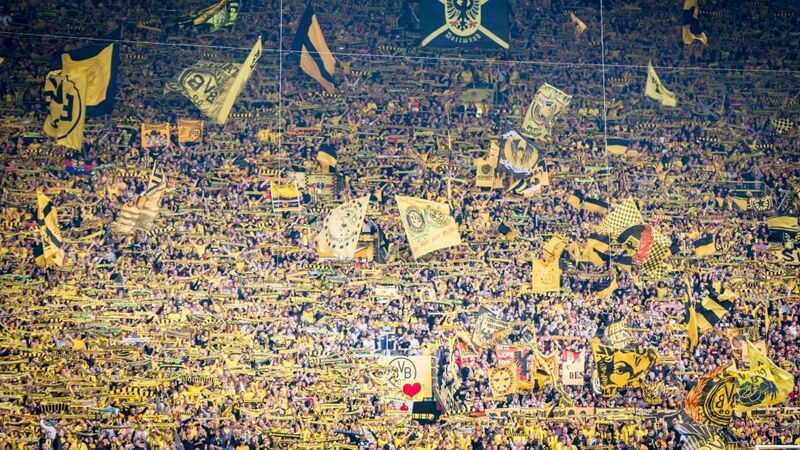 When Borussia Dortmund entertain Hertha Berlin, the club will also welcome fan number 40,000,000. No, you did not read that wrong: BVB's 40 millionth fan will walk through the turnstiles of the SIGNAL IDUNA PARK, which was known as the Westfalenstadion until 2005. The stadium has become a Bundesliga brand in its own right, just like the fans who bring it to life week in, week out. The Südtribüne, or South Stand, is globally renowned. It is the largest single standing area of any stadium in Europe, and with a capacity nearly 25,000, single-handedly houses more spectators than the stadiums of Bundesliga rivals FC Ingolstadt 04, SV Darmstadt 98 and SC Freiburg. One glimpse of a photograph of the "Yellow Wall" in 2010 was all Saudi fan Loai Mansour needed to set his heart on one day cheering on Dortmund from inside the fabled venue. In 2012, the then-16-year-old flew to Germany for the first time and his first port of call was the SIGNAL IDUNA PARK. "I arrived at nine o'clock in the evening, standing in front of the stadium, and it felt as if the sun was rising," Mansour recalls. For the next three weeks the youngster watched every Dortmund game he could live. The experience left an indelible mark, and in 2014 Mansour returned to Dortmund to study, and has become a regular guest at Dortmund matches ever since. Members of the fan club "Amper Eichen" enjoyed their first home game more recently. Not content with simply attending matches, the group decided that the best way to show their support for the eight-time German champions was to plant a tree. Nineteen of them, in fact. After the Bundesliga triumph in 2010/11, die-hard BVB fans had a crazy idea: they wanted to build a "Borussen-Allee", or Borussian Street, in honour of their club. This was realised by planting two rows of nine oaks, each separated by 9.09 metres. Tree number 19 stands at the top of the street and represents the year of the club's founding, 1909.